Whether the result of an unexpected injury, trauma, hereditary factors, or advanced decay, a natural smile may not be able to stand the test of time. And other dental health problems like missing or severely damaged teeth can impact proper jaw function, aesthetics, and overall quality of life. 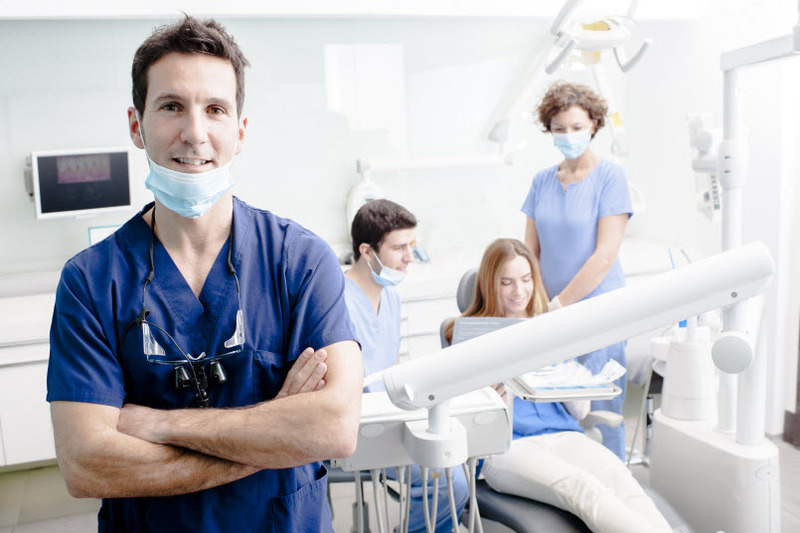 At the Newton dental practice of Dr. Ted Filandrianos & Associates LLC, our experienced and compassionate team proudly help renew the health, function, and beauty of patient smiles. We are able to do so by offering the latest treatments and techniques in restorative dentistry paired with highest-quality of dental restorations while taking a truly comprehensive approach. We aim to preserve the overall well-being of patient smiles with reliable materials that are both beautiful and durable. Are you or a loved one experiencing the repercussions of severe dental damage or missing teeth in the Newton community? Call us today to find out how our restorative care can benefit your smile! Although somewhat related to cosmetic dentistry, restorative dentistry focuses far beyond the aesthetics of the smile. Restorative dentistry emphasizes the study, diagnosis, and treatment of oral health diseases and the rehabilitation of teeth and the supporting structures of the smile to restore the health, function, beauty of the mouth. Restorative dentistry is made up of multiple dental specialties such as endodontics, periodontics, and prosthodontics that sets the foundation for renewing a once jeopardized smile to its optimal wellbeing. What are My Restorative Dentistry Treatment Options? Whether you need single-tooth repair due to damage or decay, or you’re experiencing difficulties due to missing teeth, Dr. Ted and our team provide a wide variety of innovative and reliable restorative dental care solutions tailored to your smile. How Do I Determine Which Restorative Option is Right for Me? Several aspects go into choosing the right restorative plan for your smile. While some may need more extensive rehabilitation with dental implants or implant-supported restorations, others with minimal damage can often achieve a renewed smile with crowns or composite fillings. Our Newton dental professionals will first invite you to our office for detailed consultation, involving an examination for your current dental and oral health using advanced technology to help us create a restorative treatment plan that fulfills all your unique needs. Depending on current oral health status, the extent of damage, and your ultimate smile goals, each restorative treatment plan is tailored to exceed your expectations. What if I have One or Several Missing Teeth Within my Smile? 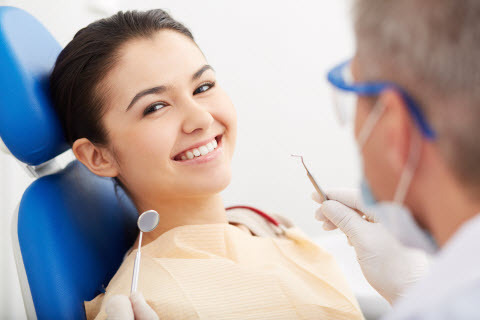 Though we always try to perform restorative care using the least invasive methods first, sometimes in the even of certain dental trauma, advanced gum disease, or decay, teeth are either already missing or need to be removed to ensure the long-lasting health of your smile. Whatever the cause for a missing tooth or teeth, it is essential to seek proper replacement. Teeth are designed to work together to help you with everyday chewing, speaking, smiling, and many other important tasks. When teeth are missing, it not only affects dental function, but overall health and beauty. Fortunately, the adverse effects of tooth loss can not only be addressed, but corrected, along with those missing teeth replaced with top-quality crowns, dentures, partials, fixed bridges, and, of course, dental implants. Do Missing Teeth Really Need to be Replaced? They definitely should be! Even when a single tooth is missing it can greatly affect your smile’s health, function, and beauty, as well as cause potential health issues overall. In cases where advanced gum disease was the cause for tooth loss, the oral infection has been linked to contributing to problems involving diabetes, heart disease, Alzheimer’s, and even low birth weight in infants. Out of the many options for replacing your missing teeth, dental implants are considered to be among the most common and favorable. What are Dental Implants Exactly and How do They Work? Healthy tooth roots provide your jawbone with the essential stimulation it needs to remain strong and healthy. When teeth are missing, there’s nothing to keep your jawbone from shrinking. This condition can compromise oral health, overall health. Bone loss and gum tissue recession caused by tooth loss can jeopardize your appearance and jaw function. Consisting of body-safe titanium, dental implants are posts that serve artificial tooth roots which fuse with living tissue and bone. Because of this fusing, dental implants provide your jawbone with the stimulation it needs to remain healthy and strong. The Implant Post- is the foundation or base of the dental implant that serves as the tooth root and is surgically inserted into the jawbone. The Abutment- sits along the gum line and is the part of a dental implant that helps attach the restoration to the implant post. The Crown or Restoration- can be an artificial tooth or teeth that replace a single missing tooth, or multiple. In some cases, a bridge or dentures might be installed instead of a single crown. The crown is either cemented or screwed on to the abutment. If dentures are being installed, those are typically snapped into place over the abutment. Once installed, the crown or restoration will look and function like a regular tooth. Along with halting jawbone weakening, and the altering of natural facial features, the benefits of dental implants extend far beyond improving the appeal of your smile. Because dental implants successfully fuse with tissue and bone, they are designed to completely replace missing teeth from root to crown. To find out what dental implants could do for your smile as well as your overall well-being, schedule your consultation with Dr. Ted and his team. With a detailed conversation and a comprehensive exam of your current oral and dental environment, we can determine if dental implants will be right for you. Treatment often begins with a detailed discussion to discover the specific needs, concerns, and aspirations of your dental implant treatment. A thorough examination of your current dental health and jawbone density is then conducted to determine if your smile’s structures will successfully hold the implant posts. If it is determined your jawbone is strong enough, we then work closely with you to create a unique plan for your treatment. To better provide for the tooth-replacement needs of our patients, we proudly place dental implants along with affixing your final restoration in-house. When undergoing dental implant treatment with our team, every aspect of your plan is performed under one roof! In order to better ensure treatment longevity and success, we take a collaborative approach to placement by working with our in-office periodontists, Drs. Jean-Marie Biebuyck and John Govostes who use accurate digital images and precise 3D surgical guides for proper implant placement. Once our specialists have successfully placed your implants, a sufficient period of healing of several months is needed for your implants to fuse properly with your jawbone. This process provides a secure and reliable foundation for new, life-like restoration. After proper healing, our team invites you back to our Newtown office to affix your implant-supported prosthetic. How will Dental Restorations Fix My Tooth Loss? Crowns- are fabricated using our in-house, CEREC technology to fabricate beautiful, life-like caps to complete single-tooth replacement with dental implant treatment. Your crown is affixed to the titanium post that serves as the artificial tooth root. For those looking to replace a single missing tooth, an implant-supported crown is often an ideal solution. Fixed Bridges- for patients in need of replacement for two or more missing teeth in a row, we offer reliable solutions with our dental bridge appliances. These restorations fill gaps caused by missing teeth, utilizing crowns placed on adjacent teeth as the foundation. This allows for rejuvenated dental function and natural-looking results. Dentures- combine some of the best characteristics of traditional dentures and dental implants. They are removable for easy cleaning but attach securely in place to your implants. Dentures are often ideal for those who have no remaining teeth within the smile. Partial Dentures- are similar to traditional bridges, but instead of attaching the bridge to your natural teeth, it is anchored by implants on either side of the bridge. Perfect for replacing sizable gaps within the smile without altering neighboring teeth. Although implant placement and dental restoration with this process occur over a short time period, the preparation for teeth-in-an-hour takes a few weeks. Before we begin, we must first determine if this is the best solution for your situation. Because prosthetics are fabricated before the placement procedure, they may need minor adjustment to guarantee a secure fit. This treatment option is available to anyone with very little to no remaining teeth, whether you are an adult or senior. You may upgrade your current set of traditional dentures to be permanently affixed to implants as well. We use an on-site CBCT scanner to create a virtual model of your smile, allowing us to develop a 3-D diagram of dental structures. We utilize these detailed images to develop surgical guides that show precisely where implants need to be placed. This ensures accuracy and safety during the surgical procedure. 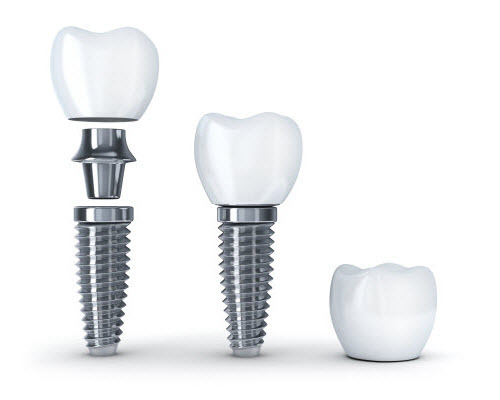 Once the titanium implants have been placed, the permanent replacement teeth are attached. Provided each step goes as planned; the whole process can take less than an hour. Am I Good Candidate for Dental Implants? Ideal candidates for traditional dental implant treatment or for teeth-in-an-hour have a strong and healthy jawbone that will support implants and heal properly. If you have been missing teeth for any length of time, and have not had implants placed, there is a chance that your jawbone has weakened and shrunk to the point where implant placement might not be an ideal solution unless bone grafting is performed. Fortunately, at Dr. Ted Filandrianos & Associates LLC, we provide these initial services, like bone grafting that can restore your bone and soft tissue to optimal health, which will significantly increase your chances at receiving innovative treatment with dental implant treatments. Waiting to have your smile fixed is uncomfortable and frustrating. Whether you’ve experienced a dental emergency or received root canal therapy, you want to get back to daily life as soon as possible. Our in-office CEREC machine helps restore function and comfort in a single appointment by eliminating the need for lengthy treatment or a temporary prosthetic. After the treatment area is prepared, Dr. Ted and his team load a digital impression of your smile into the device. From there, the milling machine precisely shapes and molds a block of ceramic material to create your crown. Our doctors use CEREC to create custom crowns made from premium and biocompatible materials promptly but without compromising quality. Because you can receive your new crown within the same visit, it’s exceptionally helpful for enhancing your smile’s function and beauty. Fillings, as their name suggests, are a type of restoration used to "fill" the area on the tooth where the decay has been removed beforehand. 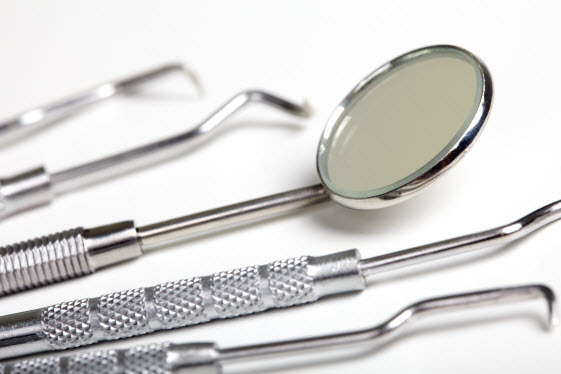 Fillings are also used to repair cracked, chipped, broken and worn teeth from clenching or grinding. Composite fillings are among the most popular filling types. We use composite or tooth-colored fillings in small to medium-sized fillings provide good durability and fracture resistance that can withstand moderate pressure from constant chewing. On either front or back teeth, they can be used. They are a good choice for those who prefer to look more natural in their fillings. If you’re experiencing persistent tooth pain or sensitivity, decay and infection may have entered the inner soft tissues of your tooth, and treatment is necessary if you want to try and save your natural tooth as much as possible. The primary goal of root canal therapy is to preserve as much of the natural tooth structure as possible while preventing extraction. Decay eats away at enamel and creates cavities, which are easily corrected when detected early. If left untreated, the decay can spread to the inner structure, known as the root canal and infect the connective tissues and nerves. Root canal therapy is designed to remove the infection effectively, significantly reducing the need for extraction, and saving the natural tooth. Although many believe this treatment to be invasive and uncomfortable, it’s no more uncomfortable than receiving a filling. We begin your procedure only when you are numbed and comfortable. Decay and infected pulp are gently removed, then the empty canals are sanitized and filled with an anti-bacterial material that supports inner tooth structure. The treated tooth is then prepared for your custom crown. Contact Us to Help Preserve Your Smile’s Health, Function, and Beauty! If you need restorative dental care, remember, don’t panic! Our team understand that dental anxiety and fear can be debilitating, that’s why we take the time to discuss with you the necessary benefits of restorative dentistry and the essential role it plays in long-term oral health. We believe the more educated you are about procedures, the more confident you will be about receiving essential dental care. Call Dr. Ted Filandrianos & Associates LLC to schedule your appointment today!